Foods can help you sleep or keep you up late at night. Foods that make you stay awake at night can make you gain excessive weight by encouraging a habit of nighttime binging and daytime overeating as well. In addition, studies have shown that sleep deprivation can harm the body in different ways. Therefore, if you suffer from insomnia, then you should consider making dietary changes to help your body learn to shut down at night. This article discusses the major foods (and eating habits) you should avoid to sleep better at night. Sleep and foods have a rather curious interplay. While some foods can promote sleep, others may contribute to insomnia. Unfortunately, if your poor dietary choices lead to sleeplessness, there is a very good chance that your insomnia can also perpetuate the same bad choices in food. This quickly leads to a vicious cycle of sleeplessness which is commonly diagnosed as chronic insomnia. Different studies have established that sleep deprivation increases hunger and appetite. Only recently did scientists find an explanation for this strange relationship. This molecule was shown to be involved in the feeling of enjoyment and reward derived from eating. Therefore, the researchers concluded that 2-arachidonolyglycerol was at least partly responsible for the overeating observed in people who usually do not have sufficient sleep. To further confirm the contribution of this molecule to insomnia-induced overeating, the researchers found that the level of this compound was at its highest during the early afternoon and at its lowest in the middle of the sleep cycle. While this study proves that insomnia can cause overeating, there are other studies that have proven that certain foods can also cause insomnia. The major foods to avoid in order to sleep better are discussed below. Caffeine, whether from drinks, pills or chocolate, is one of the causes of insomnia. Caffeine is a psychoactive stimulant. It keeps the central nervous system awake by stimulating the release of excitatory neurotransmitters. However, the effect of caffeine can last beyond the period when you need it. This means that you should restrict your caffeine intake and avoid taking caffeinated drinks and foods close to bedtime. Experts advise that you should not take caffeine products at least 8 hours before going to bed. However, some contend that the stimulant effect of caffeine is still present after 12 hours of consuming it. Therefore, if you must take caffeine, do it in the morning and never in the evening. Besides the stimulant effects of caffeine, the compound is also a natural diuretic. This means that caffeine increases the frequency of urination. Therefore, taking caffeine at night will make you repeatedly get up in the night to urinate. 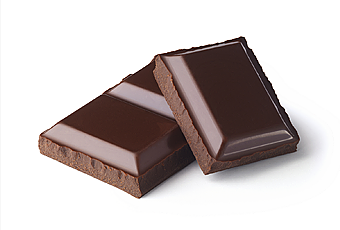 Besides caffeine, chocolate contains other stimulants like sugar, tyramine, and phenylethylamine. Foods containing simple sugar can cause a big spike in blood glucose levels. This makes excess energy available for the body which can cause restlessness. Because the brain consumes a lot of glucose, a high blood glucose level can keep the brain ticking long after it should have powered down. 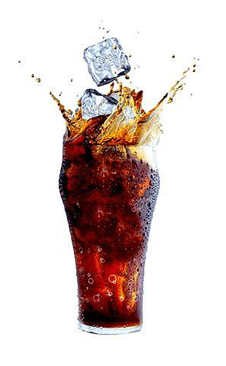 Sugary foods to avoid range from soda drinks to refined carbohydrates. Any food with added high fructose corn syrup, or other commercial simple sugars, can increase the body’s energy level and fuel increased brain activity. To avoid the health problems associated with sugars, manufacturers sometimes substitute them with artificial sweeteners. However, artificial sweeteners are not safer. In fact, they can also disturb sleep. Other food additives that may disrupt sleep include preservatives, artificial colors, artificial flavors, texture enhancers, and synthetic antioxidants. A common food additive is known to cause insomnia is MSG (monosodium glutamate). This compound is a common ingredient used in preparing Chinese foods as well as refined, packaged foods. However, it is a potent stimulant and can keep some people awake late into the night. Fatty foods take longer for the body to digest. And when the body is actively digesting food, it cannot power down. High-protein foods also affect the digestive process and sleep in a similar way. In addition, protein-rich foods release amino acids into the blood. When amino acids such as tyrosine flood the body, they are quickly used to synthesize stimulants such as the excitatory neurotransmitters, epinephrine and norepinephrine, and thermogenic thyroid hormones. Excitatory neurotransmitters keep the brain active and thyroid hormones increase the body’s metabolic rate. Both effects disrupt sleep. Furthermore, by suddenly increasing the number of amino acids in the body, high-protein foods reduce the amount of tryptophan reaching the brain. Tryptophan is the most important amino acid to the sleep process. It is used to synthesize niacin (a B vitamin), serotonin (a neurotransmitter) and melatonin (a hormone that regulates the circadian cycle), all of which promote sleep. Flooding the body with multiple amino acids reduce the odds of tryptophan crossing the blood-brain barrier. This is because it shares the same transport mechanism with some of the other amino acids. Spicy foods are harsh on the gastrointestinal tract. 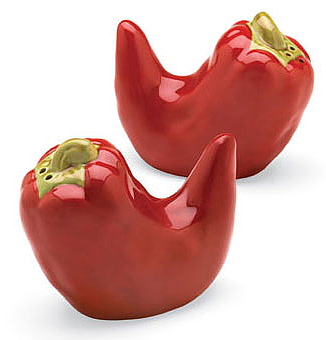 They can aggravate gastrointestinal ulcers and cause acid reflux. Gastrointestinal discomfort is a leading cause of insomnia and a recent poll shows that 1 in 4 people who suffer from insomnia with an unknown cause are actually kept awake by acid reflux without knowing it. Therefore, you should restrict your intake of harsh foods and instead choose food ingredients that can help heal your gut. 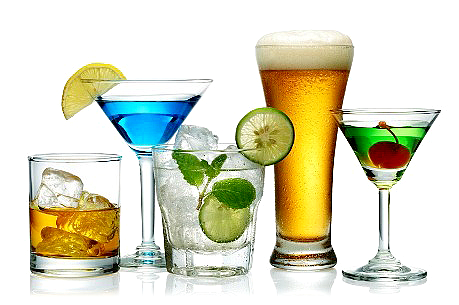 Alcohol is a central nervous system stimulant and a depressant. While a drink or two may make you feel sleepy and even put you to sleep, you are likely to sleep restlessly and wake up frequently in the middle of the night. Therefore, you should never take alcohol to sleep. If you already suffer from insomnia, you should avoid consuming alcohol even social drinking. In addition, the hangover effect of alcohol means that you will not be fully rested even after you wake up. Alcoholics usually suffer from insomnia too. In addition, regular consumption of alcohol may lead to other conditions that disrupt sleep. Large meals may make you drowsy but they rarely put you to sleep. When you eat large meals, your body scrambles to digest these foods. Large meals put the digestive system into overdrive. In addition, different hormones and neurotransmitters are released. And there will be a spike in blood sugar levels and a flood of amino acids crashing through the body. All of these means that body is too active to allow the brain to shut it down. On the other hand, you should avoid starving yourself. Hunger not only prevents you from going to sleep but it will also wake you up as your body signals the biological need for nutrients. Instead, eat little portions of food and eat often. Eating late in the day not only keeps your digestive system going deep into your sleeping hours but also prevents the body from releasing melatonin to signal your brain that it is time to sleep. Therefore, you should eat your last meal of the day early in the evening and at least 3 hours before you plan to go to bed. The usual health advice is that you should drink lots of water. This is actually a good advice because your body needs to be properly hydrated to function optimally. However, a high fluid intake can increase the rate at which you urinate. When you need to get up frequently at night to urinate, going back to sleep can become difficult. Therefore, you need to restrict your fluid intake at least 3 hours before going to bed. This means that you should drink more water earlier in the day and slowly reduce the volume of fluid you take as the day progresses. Lastly, you should avoid substituting water with caffeinated drinks. When you take caffeinated drinks late at night, the diuretic effect of caffeine guarantees that you will need to wake up during the night to urinate. Besides the fluid loss triggered by caffeine means that your body is not as hydrated by the drink as you believe.